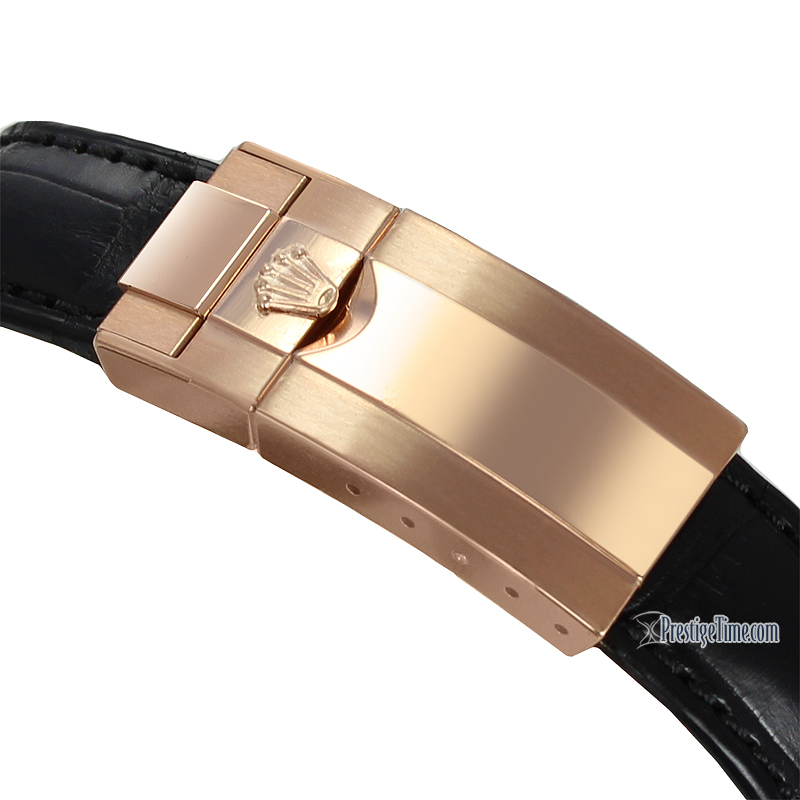 Solid, polished finished, 18kt "Everose" gold case with increments of brushed finishing between the lugs. Black "Cerachrom" bezel, made of highly durable ceramic that is extremely hard that is is highly scratch-resistant, has excellent corrosion resistant properties & is unaffected by ultraviolet rays so the color will not fade. 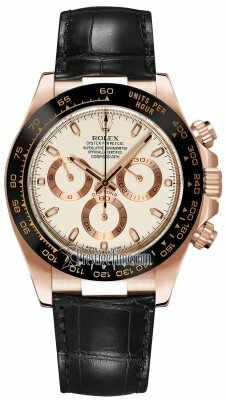 Rose gold filled engraved tachymeter scale on the bezel. 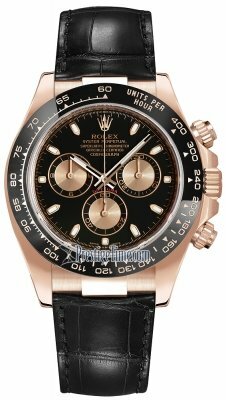 Metallic pink/rose colored dial with black sub-dials. Applied black rimmed index hour markers with luminous fill. Finely printed minute/seconds & fractions of a second track. Polished rose gold hands - hour & minute hands with luminous fill. Large central seconds counter hand - accurate up to 1/8th of a second. 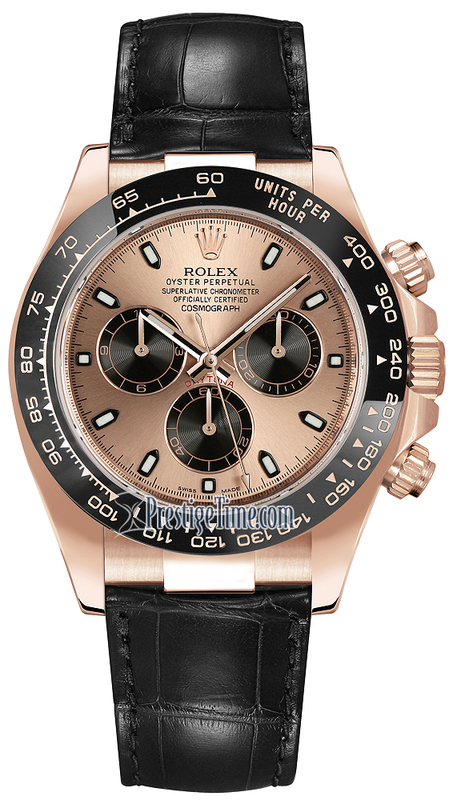 Continuous running small seconds hand sub-dial located at the 6 o'clock position. Strap fitted with the Oysterlock safety deployant clasp. Rolex in-house calibre 4130, beats at 28,800 vph, composed out of 290 parts, contains 44 Jewels & has an approximate power reserve of 72 running the time only or 66 hours with the chronograph function running.